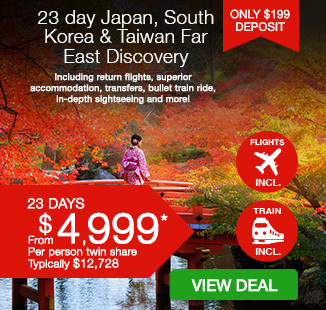 23 day Japan, South Korea & Taiwan Far East Discovery with return flights, superior accommodation, transfers, bullet train ride, in-depth sightseeing and more! With stunning landscapes around every corner, cultural bounties at your fingertips and endless sights to see, Asia’s Far East will leave you wanting more. 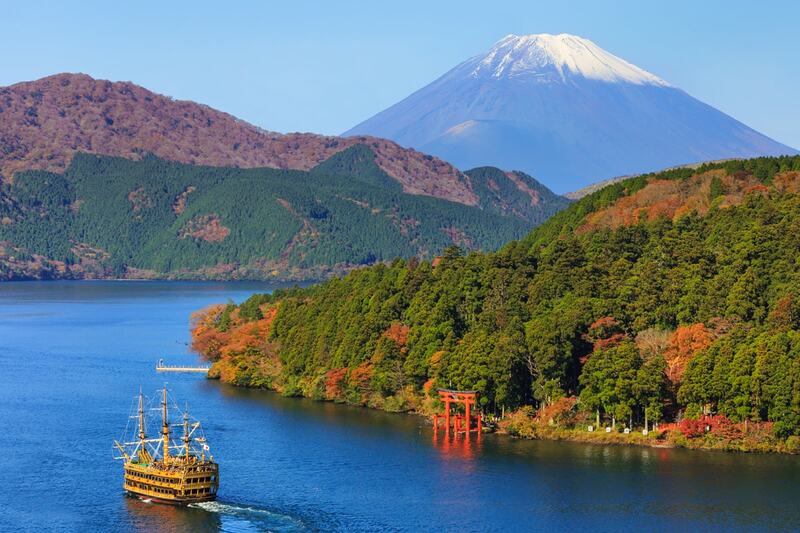 Immerse yourself in intriguing and historical countries and make memories to last a lifetime with a 23 Day Japan, South Korea & Taiwan Far East Discovery tour. Discover the buzzing city of Seoul, see the infamous Demilitarised Zone (DMZ) between South and North Korea, feed wild deer in Nara Park, Japan, wander the bustling streets of Tokyo, admire natural beauties in Kenting National Park and so much more! 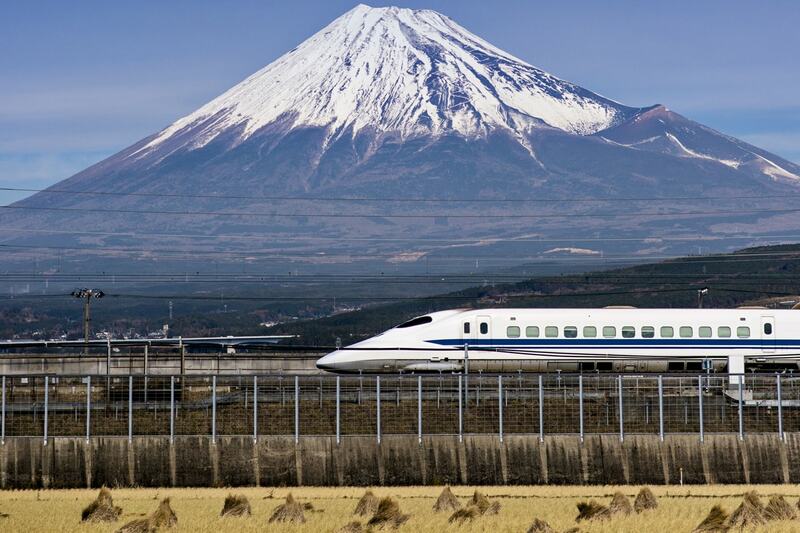 Your package includes return international airfares, superior accommodation, breakfast daily, in-depth sightseeing, exciting bullet train journey, tour guides and more! Depart Australia today on your overnight flight to Seoul. Welcome to South Korea! Following customs, immigration formalities and baggage collection, a Webjet representative will meet you as you exit the arrivals hall and transfer you to your hotel. Seoul, the capital of South Korea, is a huge metropolis where modern skyscrapers, high-tech subways and pop culture meet Buddhist temples, palaces and street markets. Today after breakfast we make our way to the designated UNESCO Biosphere site of Mt. Seorak. Mt Seoraksan National Park was protected in 1982 due to the many rare species of plants and animals found within it grounds. Seoraksan is also the highest mountain in the Taebaek mountain range in the Gangwon Province in eastern South Korea, stretching to an elevation of 1,700m. After, continue on to Shinheungsa Temple and take the cable car to Gwongeumseong Fortress to experience the beautiful natural landscapes on offer. The fortress is the site of a castle ruins located and it is also known as Mt. Onggeumsan Castle, or Toto Castle. 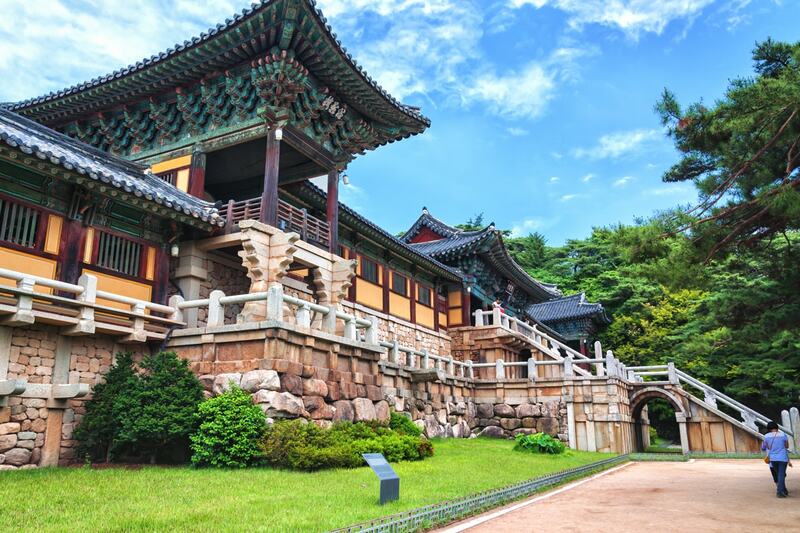 It is believed to have been built by the 23rd King of the Goryeo Period over 800 years ago. After returning down the mountain, we then head for Sokcho fishing village now the hometown to many people of North Korean ancestry. Most people here fled their homes in the North during the Korean War. After, we continue back our hotel where the rest of the day is at leisure. This morning we leave Mt. Seorak behind us and head to the traditional village of Andong. A UNESCO World Heritage Site, the village is famous for it’s preserved traditional wood houses and stunning scenery. We then, travel to the Gatbawi Shrine. The Gatbawi statue is an imposing statue of the Buddha of Medicine that stands six metres tall, and it dates back to the 800’s. A wide flat rock sits on its head. This hat is called a “gat,” and it was traditionally worn by Korean men. After, continue we continue on to the southeast city of Gyeongju which was the capital of the 1,000-year-long Silla dynasty and is known for its extensive historical remains. Today we explore the many archaeological sites and temples of this ancient city. We begin, by visiting the Cheomseongdae Astronomical Observatory, constructed during the reign of Queen Seon-deok (632-647A.D). 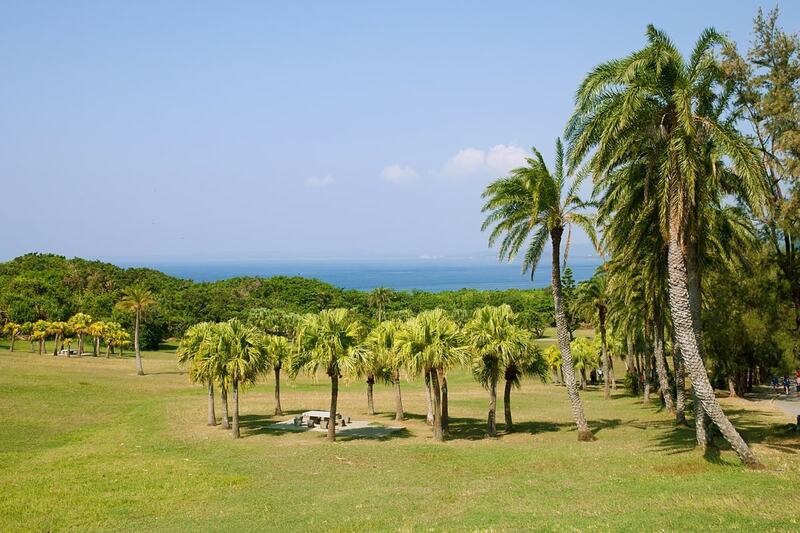 After, visit the Royal Tumuli Park, scattered with unique earthen mounds which are tombs of kings and nobles. Enjoy Gyeongju National Museum, home to many Silla Kingdom relics. Visit both the Bulguksa Temple and Seokguram Grotto Temple both UNESCO sites, both dating back to 700 A.D and considered a national treasure. This morning, heading to Changdeokgung Palace, one of the “Five Grand Palaces” built by the Kings of the Jeoson Dynasty and Insadong, a street full of traditional Korean antiques and tea houses. Continue to Cheonggyecheon Stream and admire its unique beauty, before visiting Myeongdong, one of Seoul’s main commercial districts. Then visit a Korean Ginseng Centre to learn about Ginseng, which has existed for thousands of years to improve people’s overall health. Later, experience the city’s best night view at Namsan tower. Visit North Korea’s 3rd In‑filtration Tunnel, located within the Demilitarised Zone (DMZ) a 44 km drive northwest of Seoul. An entire infantry division can move through the tunnel in an hour. View North Korean territory including the Propaganda Village, People’s School and Gaeseong City, the old capital city of the Goryeo Kingdom from the Dora Observation Platform. Also visit Freedom Park, dedicated to the 5 million people who left their families and homes in North Korea. North Hall contains displays of North Korean lifestyle, and the Exhibition Hall houses old tanks and planes from the Korean War. Today we leave South Korea and take a flight to Osaka, Japan! On arrival, a Webjet representative will be waiting to welcome you before transferring to your hotel. Osaka is Japan’s second largest metropolitan area after Tokyo. It has been the economic powerhouse of the Kansai region for many centuries. Osaka was formerly known as Naniwa. Before the Nara Period, when the capital used to be moved with the reign of each new emperor, Naniwa was once Japan’s capital city, the first one ever known. The afternoon is at leisure to explore the city at your own pace. Visit Todaiji Temple, with its Great Buddha Hall housing the world’s largest bronze statue of the Buddha Vairocana. 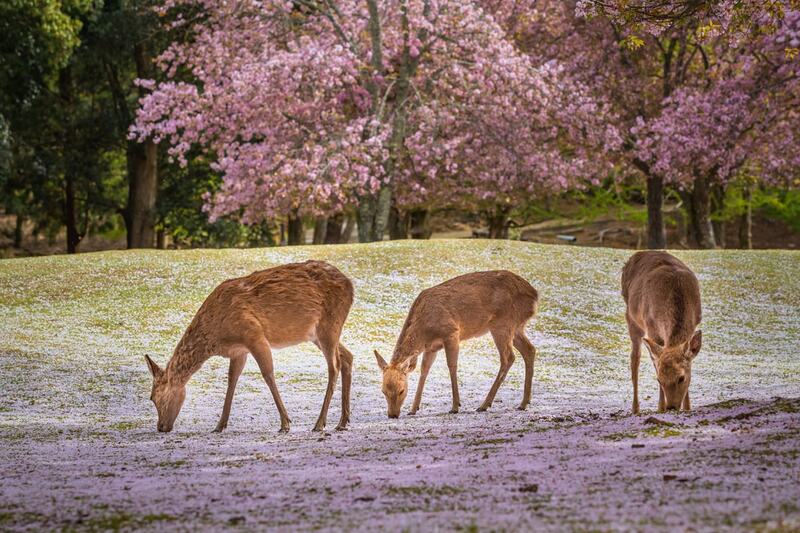 Wander through Nara Park, where over 1,200 wild sika deer roam free, before travelling to Osaka. Visit Osaka Castle, which played a major role in the unification of Japan during the the Azuchi-Momoyama period in the sixteenth century, before being dropped off at Dōtonbori, which exemplifies Osaka’s vibrant food culture. Spend today free at your own leisure. Osaka has so much to offer! One sight not to be missed is you may wish to spend the day visiting one of Osaka’s most famous landmarks, Osaka Castle; which played a major role in the unification of Japan during the sixteenth century of the Azuchi-Momoyama period. This morning, travel to Kyoto by bullet train to visit Heian Jingu Shinto Shrine. 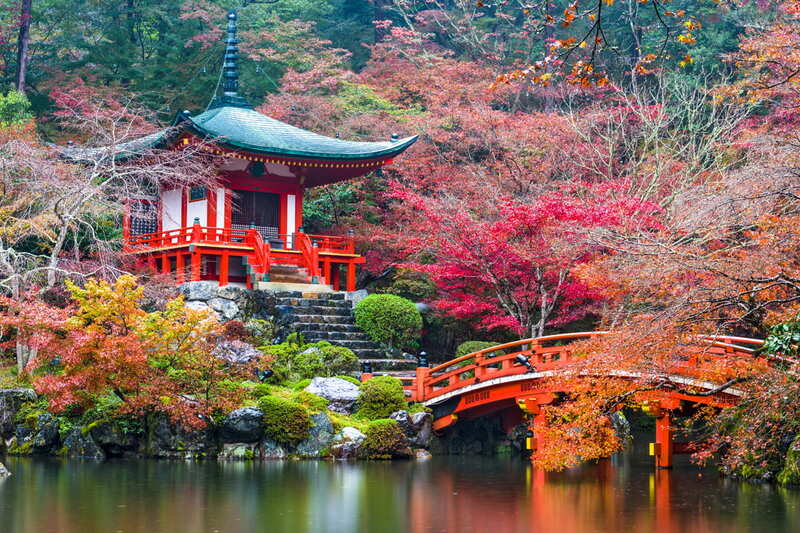 Next, visit Kinkakuji: Golden Pavilion, a Zen temple and World Heritage site with two floors covered entirely in thin layers of pure gold and detailed architecture incorporating three distinct styles of Shinden, Samurai, and Zen. Travel to Nagoya to visit Toyota Commemorative Museum of Industry and Technology. Here you will learn about the history of Toyota as a textile machinery manufacturer and how it became a successful mass exporter and manufacturer of automotive technology, including robots. Today, visit Oshino Hakkai. Known as the springs of Mount Fuji, the eight ponds are fed by melting snow filtering down from the slopes of nearby Mount Fuji, through porous layers of lava, resulting in very clear spring water that is revered by locals. 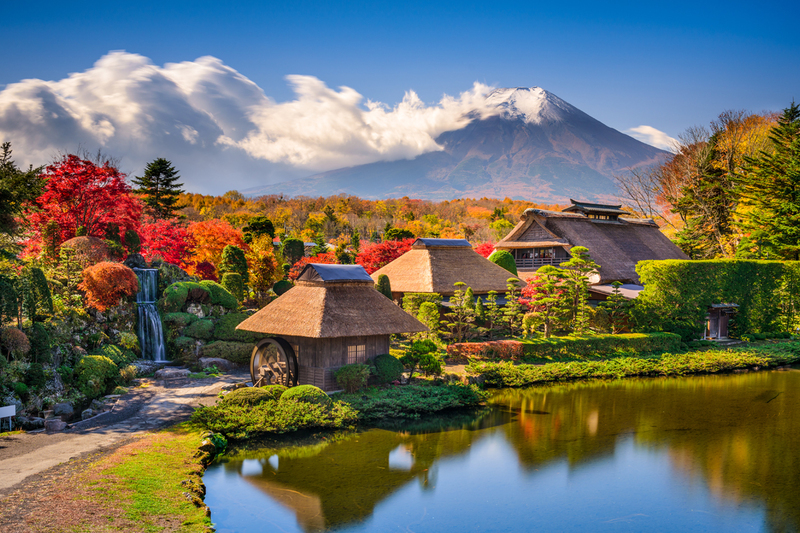 Afterwards, visit Gotemba Peace Park to capture a breathtaking view of Mount Fuji, and Hakone Shrine. Standing at the foot of Mount Hakone along the shores of Lake Ashi, the shrine buildings are hidden in dense forest. Visit Meiji Shrine in the morning, dedicated to the deified spirits of Emperor Meiji and his consort, Empress Shoken. Later, stroll through the Asakusa Kannon Temple, one of Tokyo’s most colourful and popular temples, and browse for souvenirs at Nakamise Shopping Street. 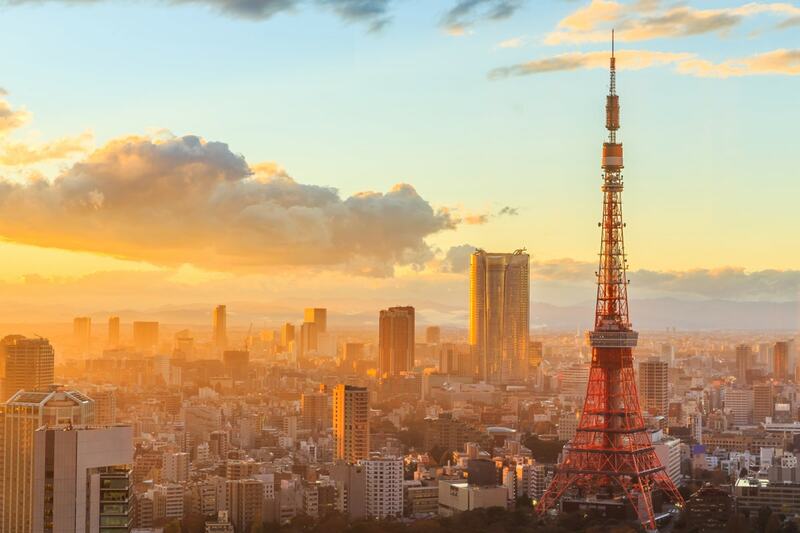 Your last stop today is Tokyo Tower, to enjoy a panoramic view of enormous Tokyo city. Spend today free at your leisure. Optional Tour: Alternatively, you may spend a day in Tokyo Disneyland or Disney Sea. All activities are not guided and transportation is self-arranged. Today transfer to the airport to board your flight to Taipei. On arrival in Taipei (Taiwan Taoyuan International Airport), you will be warmly greeted at the airport by your Webjet representative tour guide and transferred to your hotel. Today’s highlight is a visit to the President Building (outside) and Chiang Kai-Shek Memorial Hall. Explore the National Palace Museum which has the world’s largest Chinese art and antiques collection, and then on to a Taiwanese Handicraft Centre, where you can purchase Taiwanese souvenirs. This afternoon, visit Tamsui – a laidback waterfront town on the northern part of Taipei city. Enjoy lunch today at Tamsui Old Street, where you can feast on many famous Taiwanese snacks. 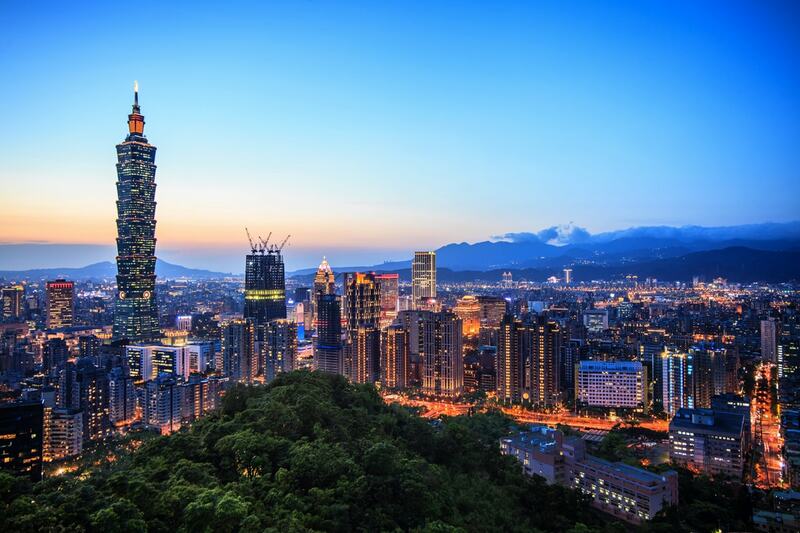 In the evening, explore the bustling night life of Taipei. Have a traditional Taiwanese Local Dinner after visiting the oldest temple in Taiwan – Longshan Temple. Proceed to the most colourful night market in Taiwan – Huahsi Night Market. This morning travel to Sun Moon Lake, located in the middle of Taiwan, and situated 762 meters above sea level in the lofty mountains of central Taiwan. Stop at the famous Wenwu Temple (Literature Warrior Temple –dedicated to Confucius, the Master of Pen and Kuan Ti, the Master of Sword). Than Head to the pier, gently cruise on a boat over Sun Moon Lake and see the sights (Xuanguang Temple, Lalu Island) as you relax on its tranquil waters. After Breakfast, we will head south towards Kaohsiung. Our group will arrive at Fo Guang Shan Buddha Memorial Center (BMC) which is our first attraction for the day. Located in Kaohsiung and completed in 2011, BMC has been enshrining the Buddha’s relic, given by Tibetan Lama Kunga Dorje Rinpoche since the beginning of contraction in 2001. With an area that exceeds 100 hectares, the complex consists of various facilities, including a welcoming hall, eight Chinese-style pagodas, a square, a memorial hall and a Buddha statue. We will spend the day exploring the grounds before continuing on to Kaohsiung City and explore one of the local night markets. The highlight today is a visit to Kenting National Park, Taiwan’s first nationally recognized park and undoubtedly one of the most spectacular landscapes you will see. Be awestruck by the vastness of the natural reserve and stand on the most southern tip of the island at Maopitou and Eluanbi Lighthouse, also known as The Light of East Asia’ as its light intensity is one of the most powerful along the Taiwan coast. This afternoon, head to Kenting Main Street, the heart of the area and bustling with locals, tourists, and vendors. Spend lunch time discovering the numerous stalls offering a range of local snacks and restaurants offering a variety of cuisines. 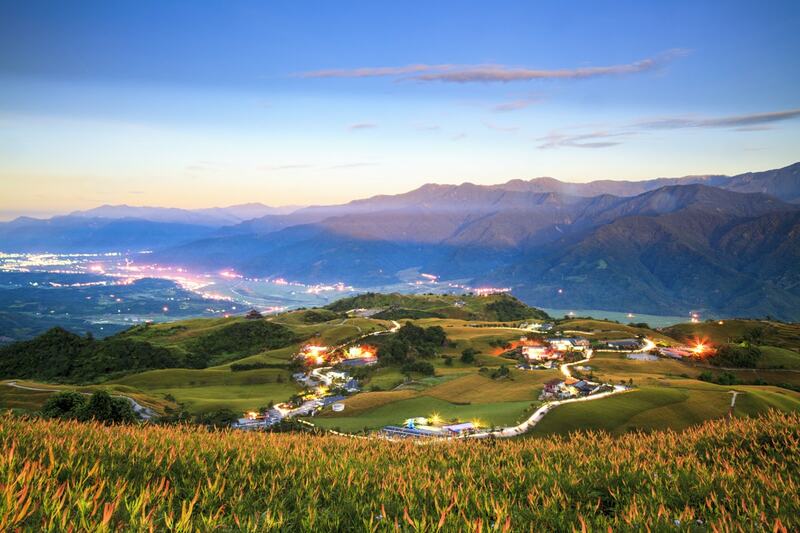 Travel up the scenic Southern Link Highway to Taitung Country. Taitung is situated on a small plain between the mountains and the ocean at the southern mouth of the East Rift Valley. This provides Taitung with not only spectacular scenery but also an ocean breeze that makes this tropical city surprisingly comfortable. 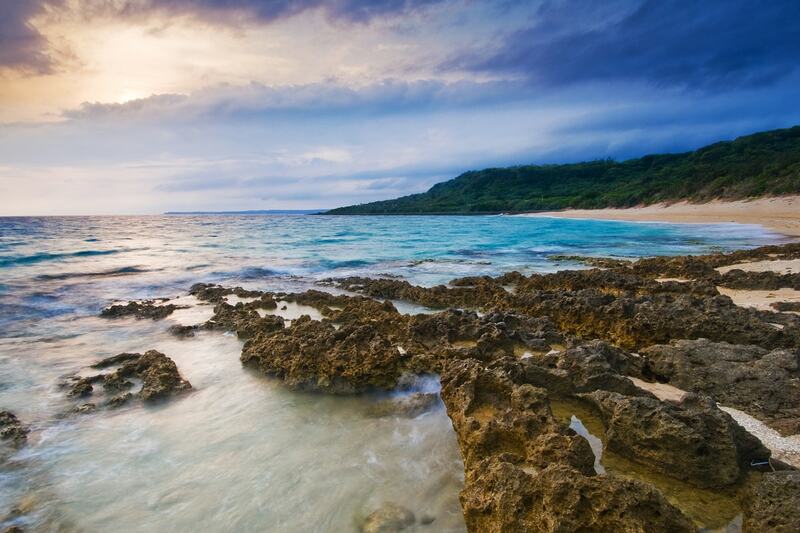 The highlight today is a visit The East Coast National Scenic Area, known as Taiwan’s Last Unspoiled Land, stretching 170 kilometers down the east coast of Taiwan. Weathering and erosion have produced a wide range of breathtaking landforms here which can only be experience first-hand. Stop at Xiao-ye-liou, San-sien- tai (three immortals island), Shi-tiping (Stone Steps) and take in the views. Proceed to Hualien this afternoon. Today we make a visit to Taroko National Park. Just 15km north of Hualien lies Taroko Gorge, Taiwan’s top tourist destination. The park covers over 120,000 hectares and rises from sea level in the east to over 3700m further west. The aquamarine Liwu River cuts through the Centre, forging deep slit valleys before joining the sea. Take in the majestic scenery of the Taroko Gorge, a place that has to be seen to be believed. Visit the Eternal Spring Shrine, Swallow Grotto, Shakadong trail, Marble Bridge and the Marble Factory. Return to Taipei City. Experience soaring heights at the tallest building in Taiwan– Taipei 101 (admission fee on own expense). Enjoy breakfast at the hotel this morning before being transferred to airport to board your homebound international flight. 20 nights’ twin share accommodation in superior 3-4 star hotels! Tour Excludes: Travel insurance, Visas, Anything which is not mentioned or “optional” in the itinerary. 23 Day Tour – $1899 per person in addition to the twin share price. Luggage: Customers are limited to 1 x suitcase (15kgs), 1 x carry-on (5kgs) per person. Customers are limited to 1 piece of luggage due to the restrictive size of the coaches luggage compartment. Please purchase the interstate surcharge by clicking here or after you hit ‘Buy Now’ in addition to your 23 Day voucher. We are unable to guarantee which airline you will travel with as flights will be booked subject to promotional fare availability for your travel dates. Including minimum 15kg of checked baggage per passenger – PLEASE NOTE: This is restricted due to the flight from Seoul to Osaka luggage allowance. Extra luggage can be purchased for KRW10,000/kg (approx. AUD $10). A maximum of 1 piece of checked baggage still applies. Schedule Changes: Airline schedule changes or cancellations can happen from time to time and are beyond our control. The customer is responsible for reviewing their flight schedule prior to their departure. Webjet Exclusives endeavours to assist customers where possible, however should any change or cancellation occur, please contact your Travel Insurance provider to check whether you are covered by your policy. Stay behind surcharge: If you wish to extend your trip, a $200 per person breakaway charge will apply (subject to availability and applicable fare difference). Please purchase your voucher first and Webjet Exclusives will invoice the additional supplement charge when finalising your booking. If you wish to alter or extend your trip, please purchase your voucher first and submit a request on your booking form. Webjet Exclusives will then provide quotations for any alterations or extensions. Should you wish to proceed any additional charges or fare difference will be collected. However if you are unhappy with the options a full refund of the voucher will be provided. Airport transfer are not included for early arrival and stay behind passengers. If your travel date is within 180 days, you will be emailed an invoice shortly after purchase. You will then have 7 days from invoice date to arrange final payment to secure your dates. If payment is not received within 7 days, your booking will be cancelled and the deposit will remain non-refundable. If your travel date is greater than 180 days from purchase, a final invoice will be emailed to you prior to 180 days. If payment is not received by 180 days prior to your travel date, your booking will be cancelled and the deposit will remain non-refundable.